Pinch Me Review: Is Pinch Me A Scam? Lately, I’ve been getting into sites that pay you to review products for free. 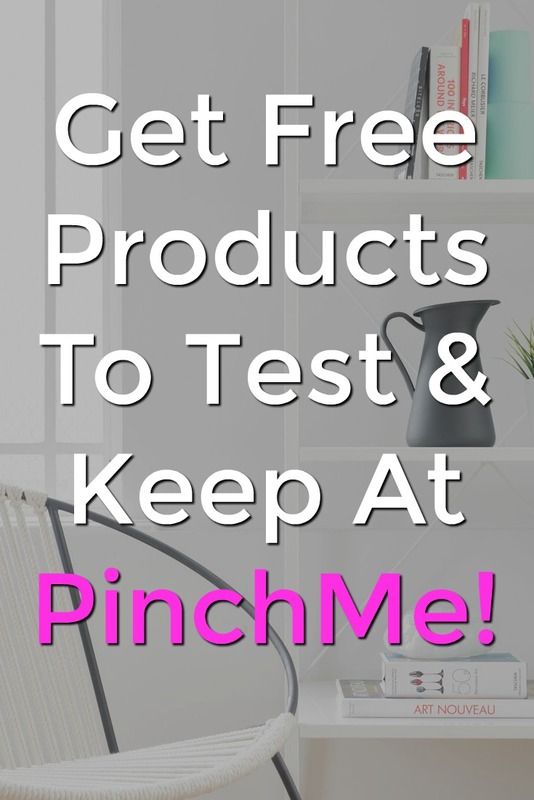 Pinch Me is the latest site that I’ve come across and turns out it’s a scam free site just like Influenster. I decided to write this Pinch Me Review because I really think this is a good site to join to get free products to review. There are some things that I don’t like about the site, but not enough to make Pinch Me A Scam. Receiving free stuff is awesome but don’t expect much from PinchMe there’re so many members you’ll have to get lucky to receive several items. With My #1 Recommendation, I get free stuff all the time and I made over $13,000 online last month! In this Pinch Me Review, we will take a look at how this site works and how you can get paid to review products for free! In this Pinch Me Review, I gave them a decent score and marked them legit. Overall there isn’t really anything about this site that is bad. If you apply for products you will receive them and get to keep them after you review them. As long as you like getting free stuff you should be pretty happy with Pinch Me. One thing I do want to say is that you will not actually receive any cash from this site, but do get to keep the products. Pinch Me is a pretty simple site, but here is exactly how the whole process works. First, you need to join the site and fill out your profile completely. It’s required before you can request products and to meet qualifications for products. After joining and completing your profile you will need to wait until new products are released. Pinch Me releases new products each week on Tuesday 12 pm Eastern Time. They usually release 3-5 products each week and sometimes more. All you need to do is visit the site shortly after 12 and see what products are available. You will need to request the products that you’re interested in. There are certain requirements for some products and there is a limit number of free samples so you want to visit the site as soon as possible. If you do get accepted to try a product all you need to do is wait for it to come in the mail, follow the instructions for testing the product, and provide feedback. Providing feedback is usually pretty easy and consists of telling what you liked/disliked about the product, how they can approve, and if you’d buy or recommend this product to your friends. After providing feedback you’re free to keep the free sample for your time! How Does Pinch Me Pay? As mentioned above Pinch Me doesn’t actually pay you cash for reviewing products. The compensation for reviewing the product is getting to keep the product after you’re done with it. Personally I think it’s worth it, who doesn’t like free stuff. You’re only required to give feedback after you try the product. It usually only takes a few minutes so I think it’s worth the time. Pinch me does have a few rewards, but it’s not what you’re expecting. No cash or gift cards can be exchanged for your points. Basically, what your points do is give you entries into a weekly drawing for gift cards. There is no guarantee that you will ever win, but I guess it’s good they do have an extra way to possibly make some extra cash for your time and being active on the site. You can earn points by completing your profile, leaving reviews of products, and referring friends. Just for being a member of Pinch Me you will get a few exclusive perks. These are basically offers that you would see on a paid to do sites, but they have a special discount since you’re a member of Pinch Me. From what I can see most of them have to do with purchasing a product for a discounted price, but it does have a few sites that you can join for free that gives you other ways to make money online. This isn’t a huge concern for me, but you will not actually get paid to test products from Pinch Me. You do get to keep the products, but for some, this might not make it worth the trouble of a few short minutes of giving feedback. Really that’s your decision to make. Again this isn’t a huge complaint, but Pinch Me releases new products each week on Tuesday 12 pm eastern time. To be eligible to receive a product you do have to request it and meet some requirements. There is no guarantee that you will be accepted for the products if you can’t meet the requirements. Also, there is a limited number of all free products so if you don’t act fast you may be too late! Is Pinch Me A Scam? Pinch Me is not a scam, it’s a completely legit site that will send you free product to review that you get to keep. 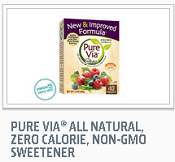 In my opinion, Pinch Me is a pretty good site, but I do recommend Influenster over it. 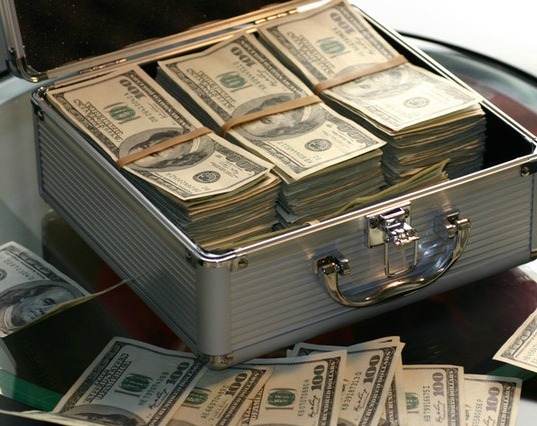 It has a few extra features and you can actually earn some cash with this site. Either way, both sites are a good join and are completely scam free. To learn more or join visit PinchMe.com. For more information and ways to get free products to keep, check out this product testing e-book! If you’re looking for some other ways to make some cold hard cash take a look at some of these sites. They are all scam free and don’t just send you free products, but actually pay you in cash. You may be interested in how I make a full-time income online by helping you make money online. To see how I can do this visit Start Your Own Online Business, I made over $13,000 with this method last month! One last thing, thank you for reading this Pinch Me Review. Pinch Me is not a scam, but have you used this site? maybe a similar site? I love to hear what you have to say, leave me some comments with your thoughts below!